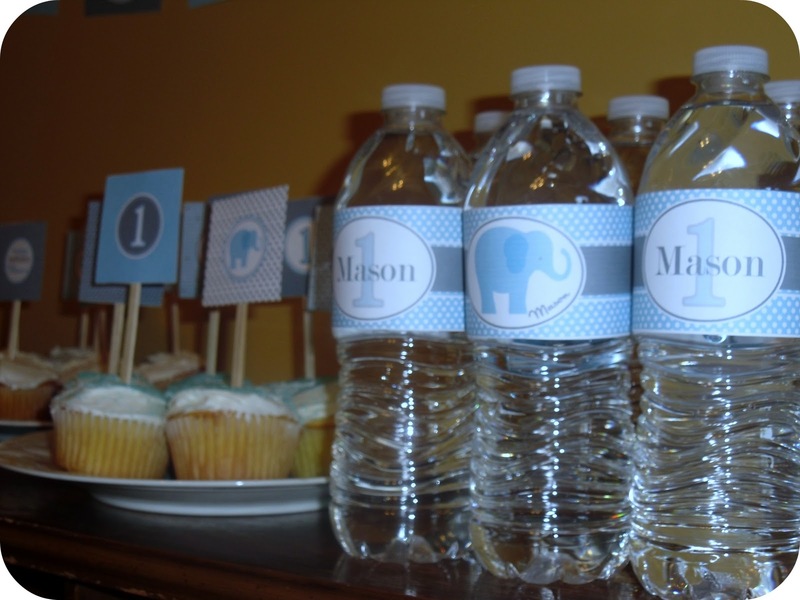 We went with a Simple Elephant Theme and I’m so excited with how it came out! 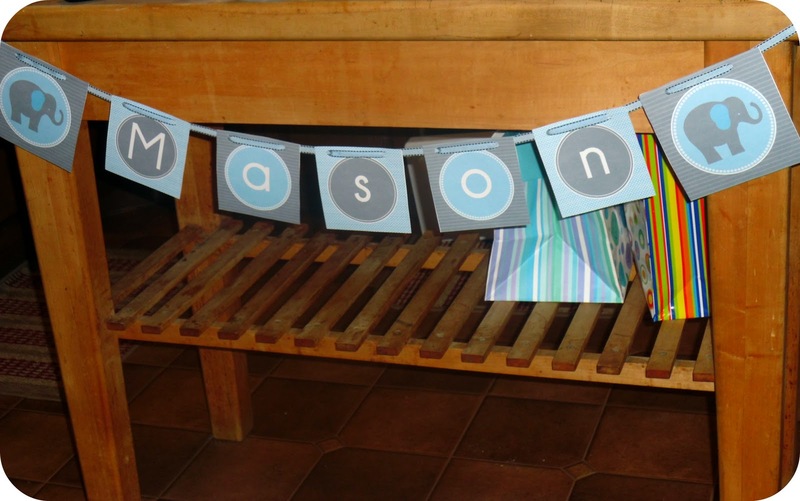 I was super excited to find Proffitt Productions who made the awesome custom decorations for Mason’s 1st Birthday Party! 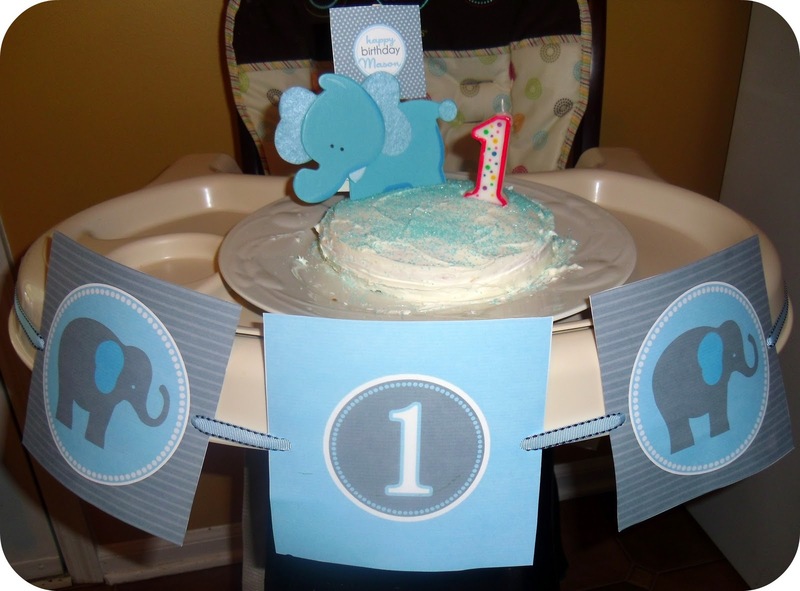 It was really important for me to have Elephants that weren’t circus themed and that’s exactly what I got!! 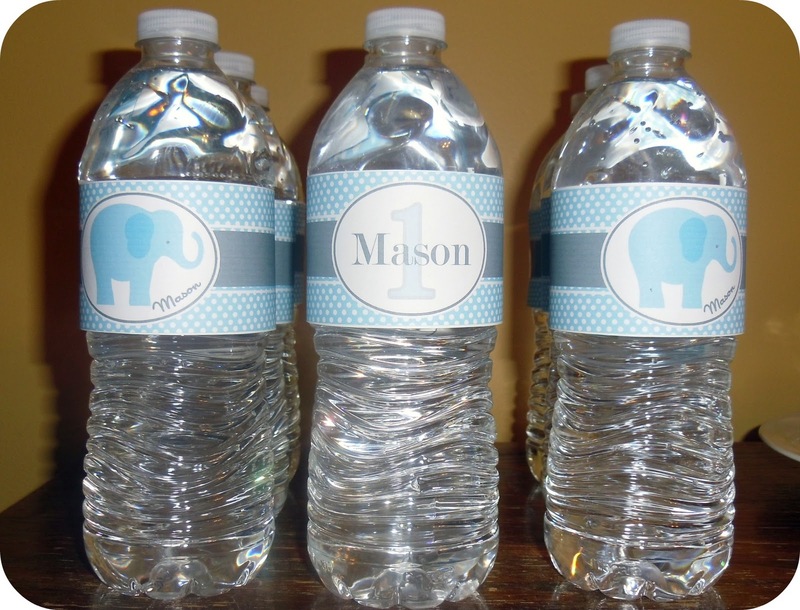 LOVE What Amy at Proffitt Productions came up with! 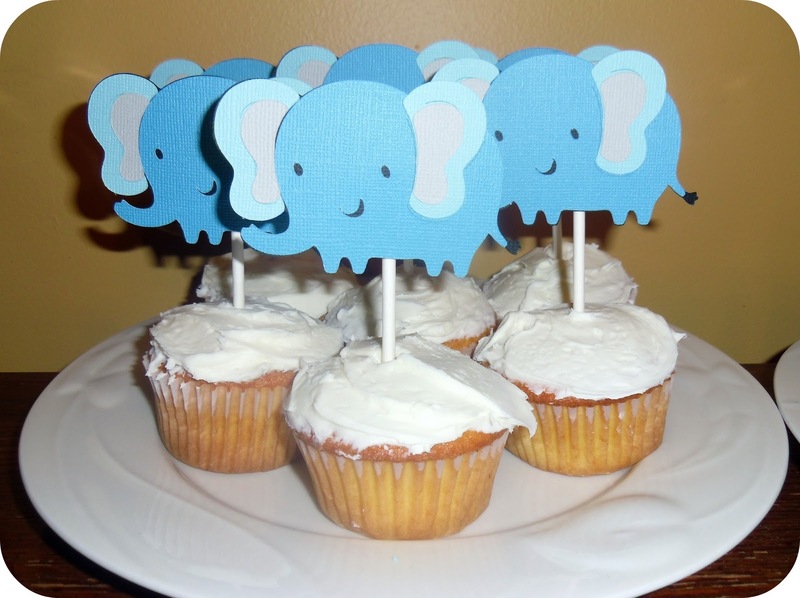 We also got super cute Elephant Cupcake Toppers made by AJZ Delights on Etsy! Everything came out so great! 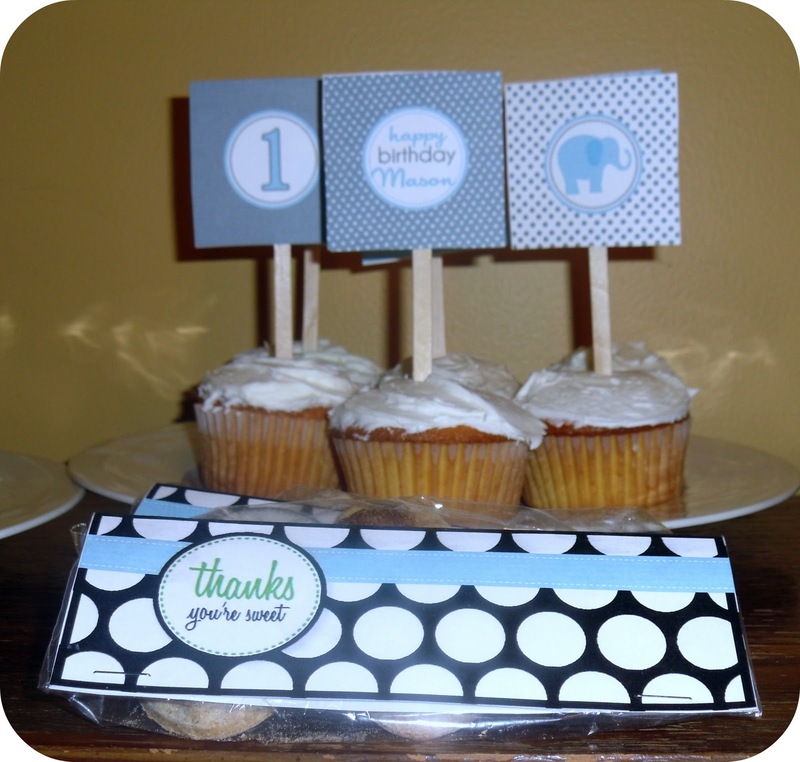 I have giveaways coming up from both Etsy Shops! 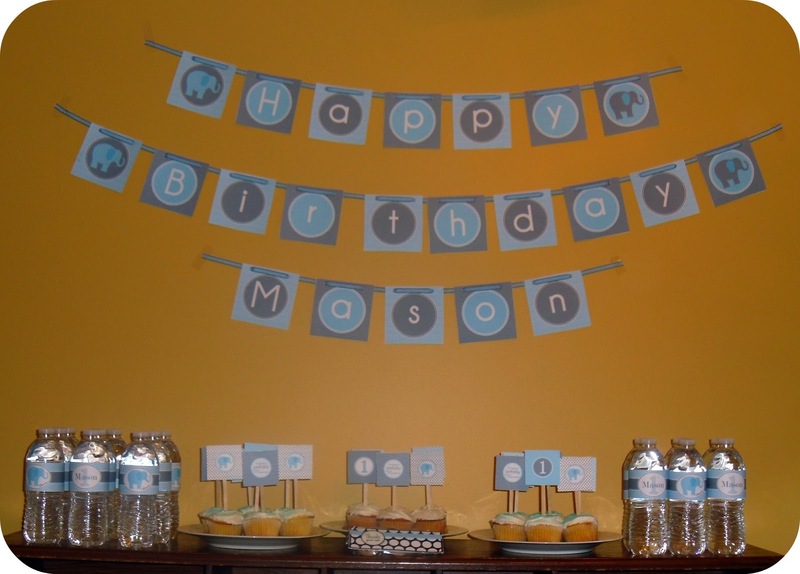 So be sure to check out Little BGCG and His Mama Review It for a chance to win your own custom decorations! I took so many pictures so I’m going to break these posts up a bit! 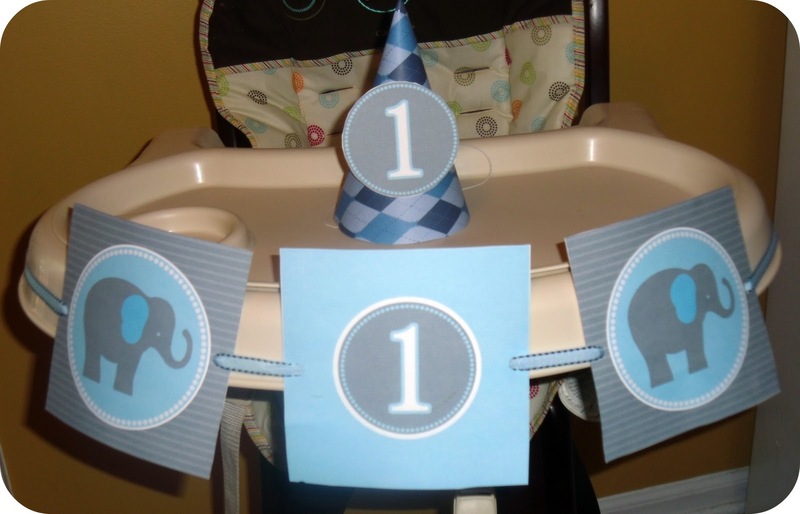 Plus the more I spread these posts out the more I can be in denial that my baby boy is one! 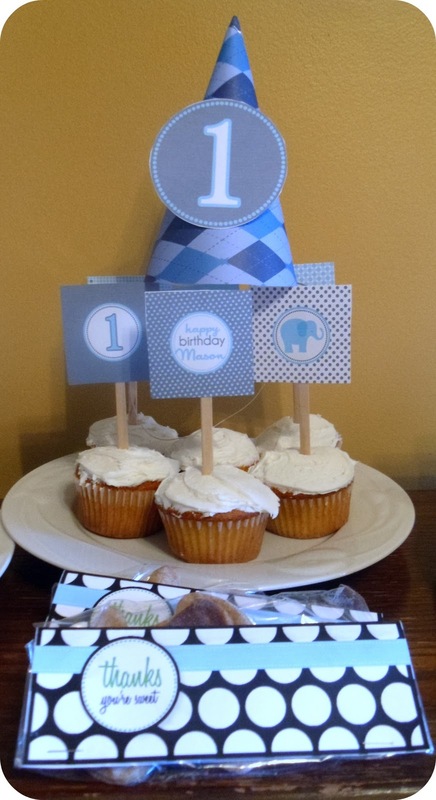 What did you do for your LO’s First Birthday Decorations?